Usually sangeet function is pre-wedding ritual that is hosted by the girl's family, they play dholak drums and sing songs. Women and girls including bride want to look beautiful and being ethnic at these events to impress their in-laws. 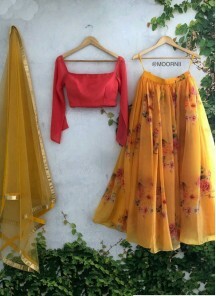 Again it's a big confusion what to wear to a sangeet function? 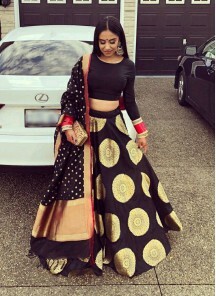 Most of them like to wear lehenga choli. 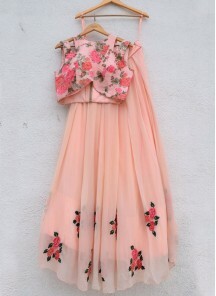 LadyBaazar is the only place where you find best sangeet outfits. 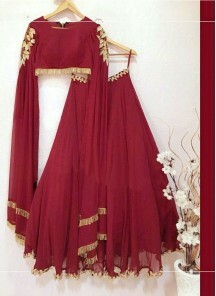 Latest collection of lehenga for sangeet available. 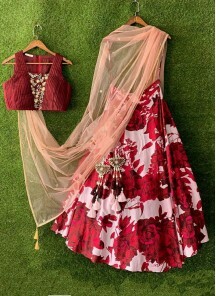 Also you will love to see other dresses for ladies sangeet. 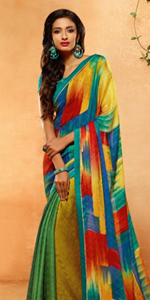 You can choose from wide range, and different fabrics like silk, net and georgette. Available in colors like red, blue, green and yellow. 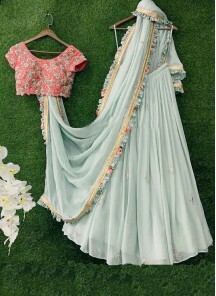 LadyBaazar provides on time delivery, product customizaton as per your measurements, and worldwide delivery at affordable shipping cost. Also we offers free shipping orders above $400.